A Conservative candidate in murdered MP Jo Cox's former constituency has apologised for making an "ill-judged" shooting remark at a hustings event. Answering a question about integration Dr Ann Myatt said: "We've not yet shot anybody so that's wonderful." Mrs Cox was fatally shot and stabbed in Birstall, West Yorkshire, by Thomas Mair in June 2016. Dr Myatt said her comments were "ill-judged". Brendan Cox called the remark a "stupid thing to say". 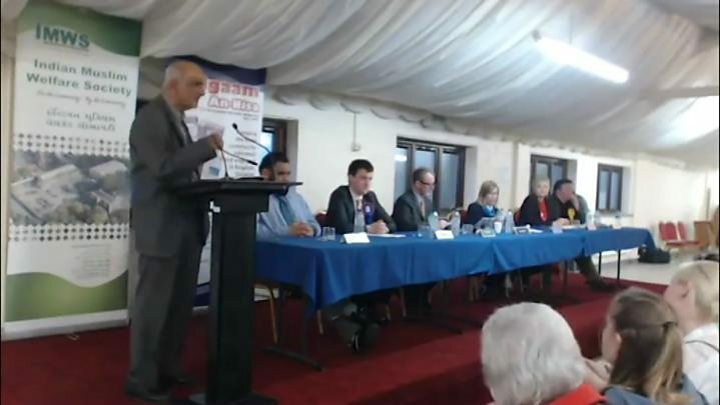 In a video of the hustings posted online by the Indian Muslim Welfare Society, which hosted the event, the six candidates contesting the Batley and Spen seat were asked: "How can you foster or encourage integration and what would you do to tackle Islamophobia?" Dr Myatt said: "This sort of evening is absolutely first-rate because we have here people of all faiths, we have here people from different parts of the community and we've not yet shot anybody so that's wonderful." Her comments were met with groans from the audience, while Labour candidate and friend of Mrs Cox Tracy Brabin was visibly shocked. At the end of the event a member of the public can be heard saying: "Do you take the comment back?" to which Dr Myatt replied: "I apologise unreservedly for a stupid comment. I'm really sorry." Mrs Cox's widower Brendan Cox said on Twitter: "This was clearly a stupid thing to say but I hope we can all assume the best and put it down to a slip of the tongue rather than any malice." Labour Party member David Keeton, who was at the event, said: "My initial reaction at what she said was shock, then utter abhorrence that someone could say such a thing under any circumstances, let alone here less than a year after our wonderful MP Jo Cox was murdered by a far-right terrorist." Other candidates at the hustings said there was shock among the audience after the comment. Alan Freeman, who is standing for the Green Party, said he was "pretty taken aback" and said the "atmosphere of the event turned far darker than it had previously been". He said that though Dr Myatt had apologised at the event "the damage had already been done". Liberal Democrat candidate John Lawson added: "It's very a unfortunate choice of words. There were people in the room who knew Jo personally." Dr Myatt, a consultant dermatologist in the NHS, later released a statement saying she "wholeheartedly" apologised for her "ill-judged remarks and for any offence they caused". "I said sorry at the time and would like to apologise again for my comments, which were out of character and came at the end of a tiring day," she added.